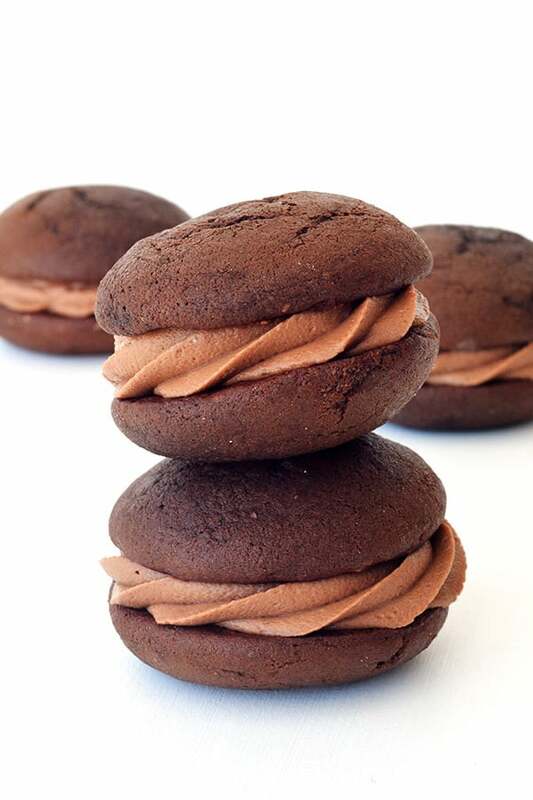 You know I’m a cookie person more than a cake person, but THESE whoopie pies are the best of both worlds and seriously had me weak at the knees. 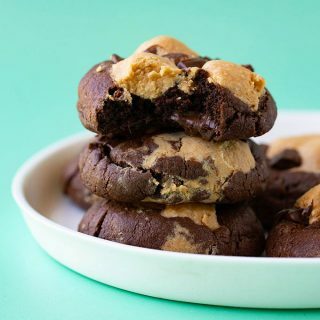 Part cake, part cookie, plus you get two cookies in one! 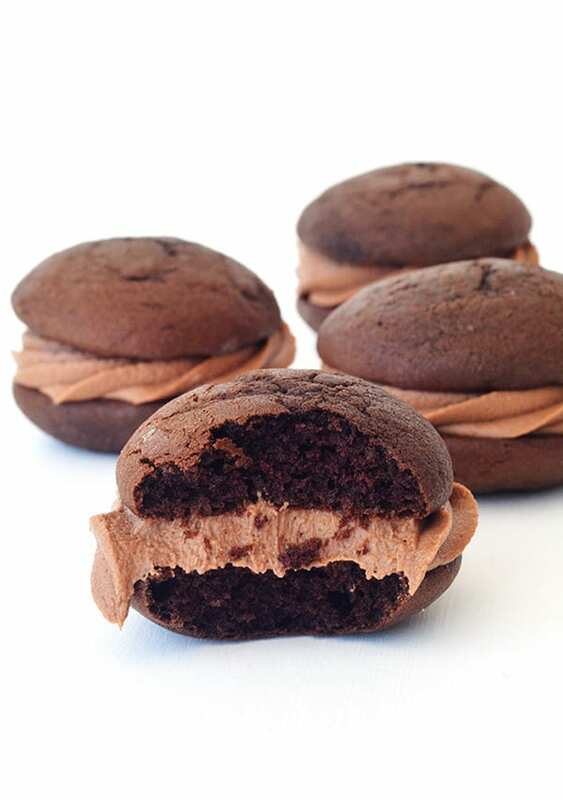 If you love all things chocolate, you will love these gorgeous Nutella Stuffed Chocolate Whoopie Pies! 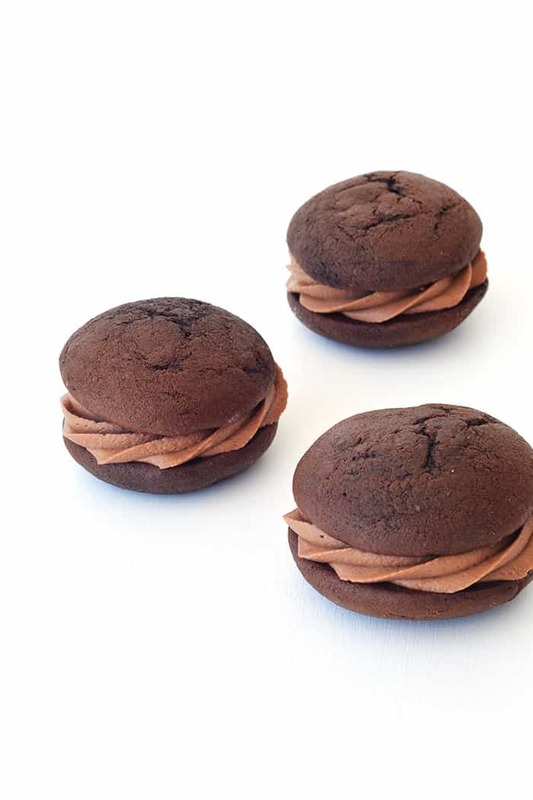 Unfortunately whenever I crave a whoopie pie I have to get into the kitchen and make my own, as they aren’t around much here in Australia (you are totally missing out people!). But that is a-ok with me, because then I can make them exactly to my liking. Which on this occasion, was thick and fluffy and filled with Nutella frosting. It took a while to get these pies just right, some were too fat, others too thin but these, these are juuust right. I was so pleased with the final recipe and I also worked out a little cheat way to get a nice smooth top! I am currently packing my bags and getting ready for a little trip this weekend. I’m blessed because my work is taking me to one of our country’s biggest food festivals (I know, right?). My boss knows me well. I’ve never been before but I am looking forward to eating all the food, meeting a few chefs, eating all the food and telling you about it next week. I’ve been told that not only will there be an abundance of good food but many of the country’s biggest chefs will also be there. Better get that camera ready! I know I will come back inspired to get back into the kitchen. I’m also excited because I’m sharing today’s recipe over on Tessa’s beautiful blog, Handle the Heat. 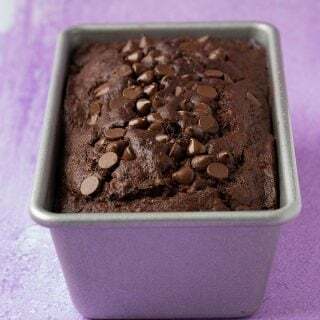 Tessa is from America and her blog is overflowing with delicious baked goods, most of which have me drooling all over my keyboard. I tell you, blogging has allowed me to connect with and even meet some amazing and talented people. 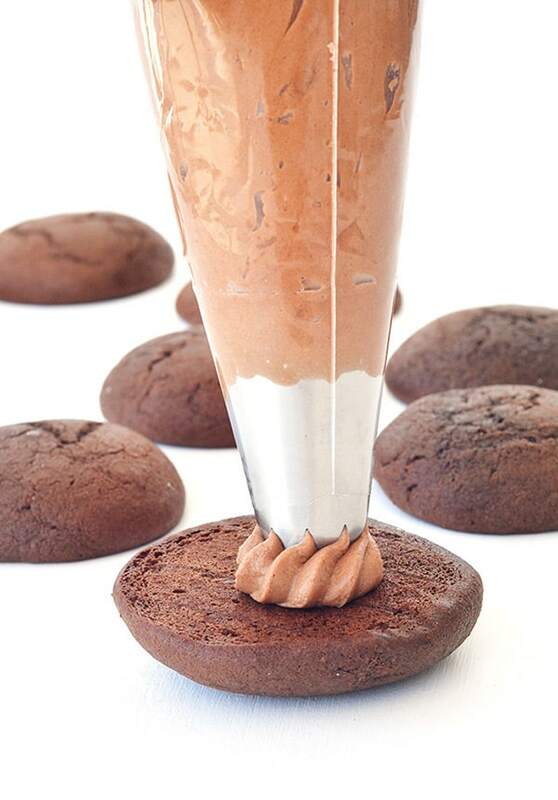 So pop on over and check out the recipe on Handle the Heat, I know you will love these Chocolate Whoopie Pies! You had me at nutella stuffed! 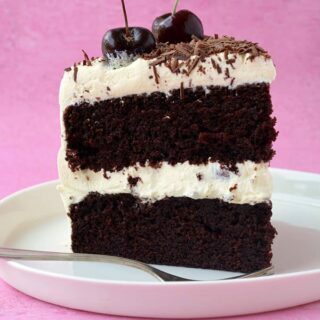 😉 These look sooo good..totally wishing I could grab one out of my screen right now! 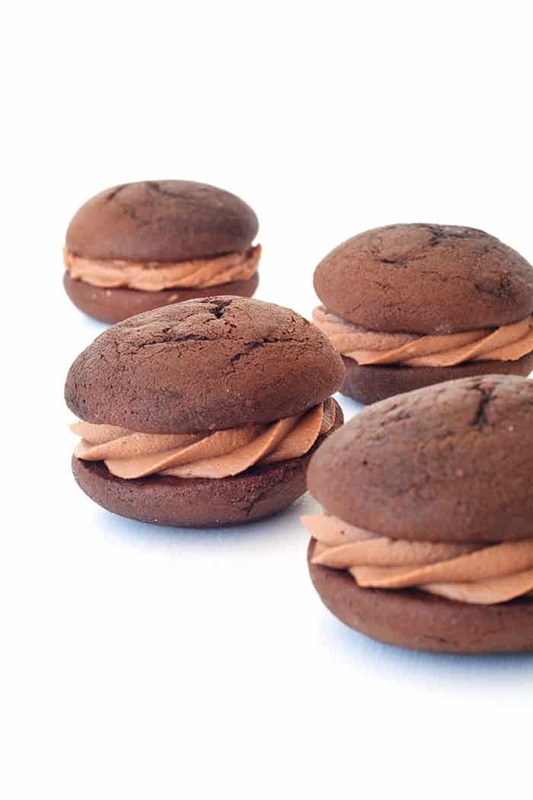 I have never baked whoopie pies yet, and they look perfect. I need to bake them very soon! I love baking whoopie pies, too. Yours look stunning. Oh my Jess. Just. Oh. My. I need these in my life right.now. That fluffy Nutella frosting. 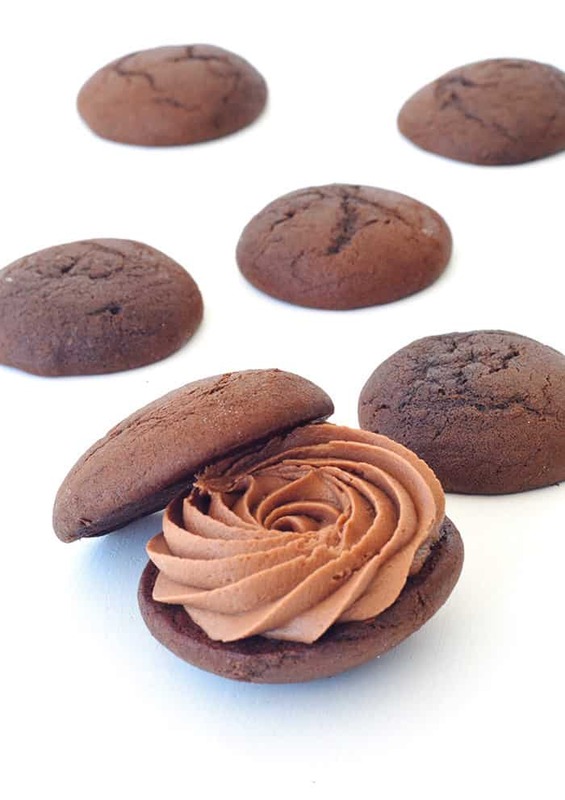 The dark chocolaty cake-like cookies. Everything about this is perfection! I hope you have a great time at the food festival too! Take heaps of photos and tell us lots of inspiring tales when you return!